ALRIGHT PEOPLE. I’m going to say something and you’re probably going to hate me. But it’s the truth, and it’s slightly terrible. I use to never wash my makeup off unless I showered. It’s gross. I get it. I just never wanted to take the time to do it, and my skin has always been completely fine with my lack of skincare routine. I break out here and there, every other month or so. Honestly, after caring for everyone else from sun up to sun down, I don’t even want to care for myself. That’s changed this year. 2018 is my year of being more intentional, and self-care for MYSELF. I’m last on my list, at all times. Most of the time that doesn’t bother me, but it hit me a lot last year. So I’ve finally hit my point of #nomorebabiesever and now it’s time to take care of me. I’d say my skin was its absolute best from age 21-23. I was using skincare products that worked well for me + kept my skin wonderful. Then I had a baby, and then another. We all know what pregnancy and postpartum hormones can do to you. My skin was all over the place. I’ve been testing out several products for 30 days at a time and I finally hit a point – my skin was great when I used salicylic acid – based products. Enter my skincare routine. Prefacing this list of items with this; I have normal to very dry skin depending on the season and have occasional breakouts, hyper-pigmentation and skin darkening. I remove my makeup with the Garnier Skinactive Cleansing Micellar Water. It’s absolutely wonderful + gentle for removing mascara, foundation and lip stain. Exfoliate. It’s my favorite step! I use two different exfoliating products from the same brand. St Ives has proven to be my favorite, hands down. I’m a pretty simple girl and my skin has proven to like drugstore products over high end. 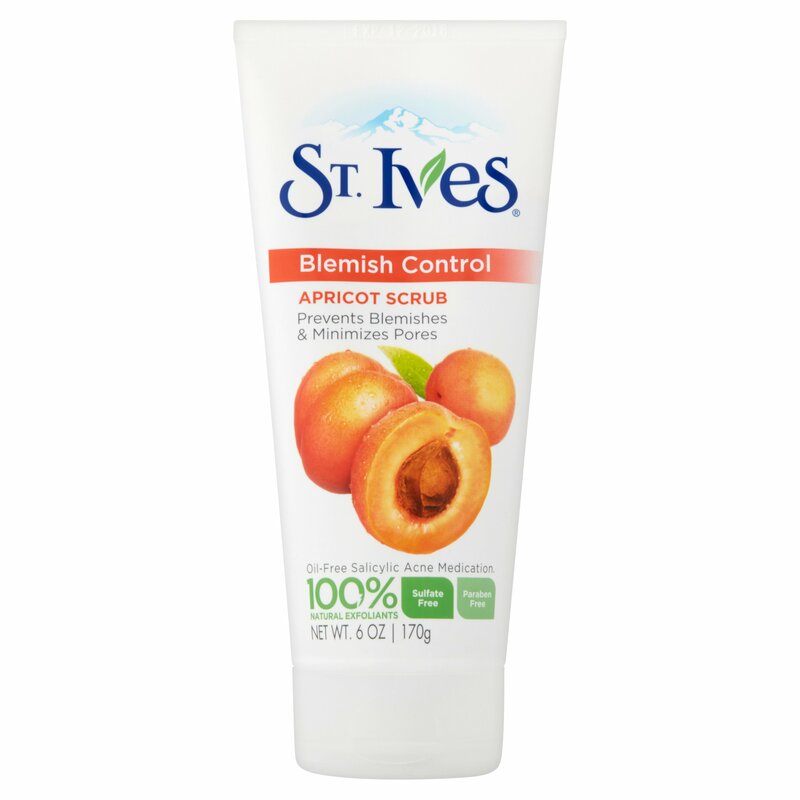 I use the St Ives Blemish Control Scrub + St Ives Green Tea Scrub. Both contain 1-2% salicylic acid and my skin LOVES it. I only exfoliate when I shower, so typically 3x a week, since it gets messy and I like to use the steam from the shower to open up my pores before using it. Toner. I’ve used a TON of toners and I’ve never really enjoyed using them. Neutrogena, The Body Shop, Kiehls. They just never really worked for me, and not to mention they burned so bad. An Instagram account I follow featured this toner and it’s available at my local Target so I ran and grabbed it. HOLY MOLY it’s amazing. Doesn’t burn, comes in a spray bottle (PRAISE HANDS) and it feels so wonderful on your skin. I purchased the rose petal scent and will continue to purchase it! It’s called Thayer’s Witch Hazel Alcohol Free Toner in Rose Petal. Grab it on your next trip to Target! Moisturizer is my last step and I’ve tried what seems like a million of them. I’ve most recently tried out the Tula brand and unfortunately it just didn’t do wonders for my skin. The part that blows my mind? The product that works for me is $4.99. Like, WHAT? How can a $52 moisturizer not work for me, but one for under $5 does the trick? Honestly I’m done asking questions. I used this moisturizer back when my skin was incredible and I’ve gone right back to it and I promise to never stray. It also contains 0.5% salicylic acid which again, my skin loves. 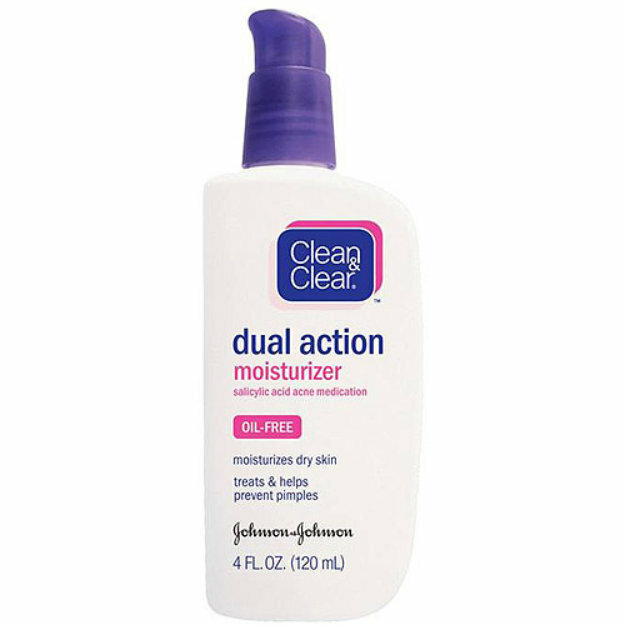 Its the Clean & Clear Essentials Dual Action Moisturizer. It’s oil-free and even though it contains acne-fighting medicine, it’s still incredibly moisturizing and gives your skin a cool feeling when applied.